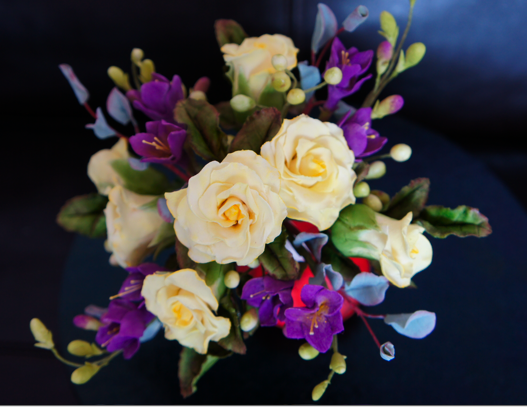 Every lover dreams of 12 long stem roses on Valentine’s Day, but the problem is, you can’t eat them! Instead why not send someone special a box of our stunning Valentine cupcakes, they look absolutely beautiful, and you can also eat them! 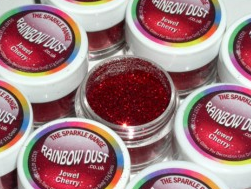 We have a mixture of luscious flavours and fillings to choose from, for the ultimate sweet temptation! Our Valentine’s cupcakes boxed in 12 and cost £24. 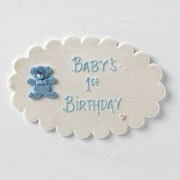 Orders are to be placed by Friday 11th February just in time for your special surprise. Alternatively, you can come to our cake craft shop and we will give you expert advice on how to create your very own Valentine cake or cupcakes. We have plenty of valentines edible cake decorations, love heart cupcake cases, heart shaped cutters, red assorted letters and sparkling cake glitters to choose from. 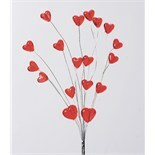 We also hire heart shaped cake tins and cake stands to help you create the perfect Valentine’s cake masterpiece. So why not surprise someone special this Valentines day, with Sugarbliss Cake Craft Company. 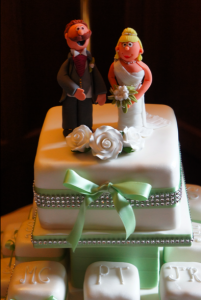 With the wedding season finally slowing down and with only a hand full of Christmas wedding cakes left to create, we are turning our attention to our Christmas cake orders and the many new, fabulous cake decorations and cake decorating equipment which have just arrived at our Sugarbliss Cake Craft shop. 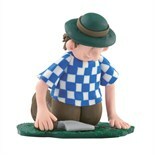 We are very excited about the newly arrived range of cake decorating and bakeware equipment from Kitchen Craft. 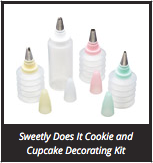 Focusing on the ongoing passion for cake making and decorating, Kitchen Craft’s very own sugarcraft collection, ‘Sweetly Does It’, has been extended, adding to the selection of cake cases, wraps, boards, stands, piping bags, nozzle sets and other cake making accessories. 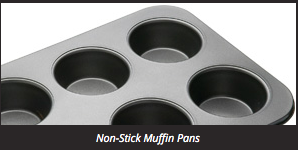 This range, together with a vast assortment of bakeware and other related items from Kitchen Craft, provide all the essentials for baking and cake decorating, from start to finish. 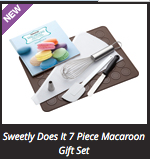 We particularly like the macaroon baking set by the ‘Sweetly Does It’ range. It comes complete with a sixty-four page recipe book and “How to” guide to give you plenty of inspiration. The perfect gift for any keen baker, this trendy gift set comprises of a silicone spatula, a stainless steel icing nozzle, a palette knife and whisk, a nylon icing bag and a silicone forty hole macaroon baking mat. 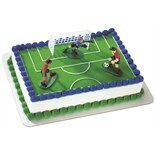 If you are looking at cake equipment we are sure you will be able to find exactly what you want! With Cupcakes still so popular, we have several cupcake decorating sets to get you going and a twenty four cupcake courier which is an easy and convenient way to transport your cupcakes safely to their destination. We also have a selection of children’s baking sets, cutters and decorations for them to create their very own cake master piece! We also have beautiful range of cake decorating books to teach and inspire which are always popular for beginners and experienced cake decorators. 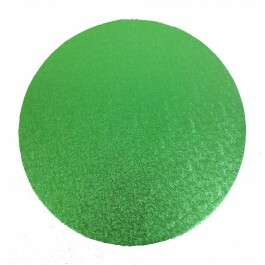 We have a wonderful choice of edible and non edible Christmas cake decorations to complete your Christmas cakes or Christmas cupcakes, and a great range of glitter dusts, in all colours, bright and pastel shades, to add a sparkling finish to your Christmas cake decorations.Visit Sugarbliss Cake Craft Company and have a look at the many great ideas for anyone who is keen on cake decorating or place an order for one of our stunning Christmas cakes to celebrate your Christmas in style! 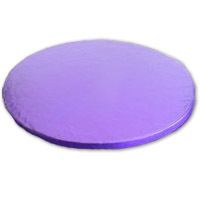 Sugarbliss Cake Craft Company specialises in cake decorations and cake decorating supplies including cake boards, cake boxes, cake decorating equipment, baking tins, ingredients and cake toppers and everything you might need for decorating cakes.